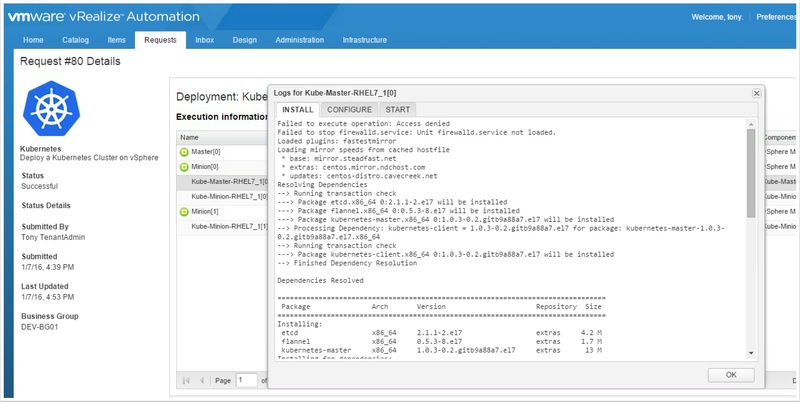 The Kubernetes Blueprint for vRA7 is here! It’s the moment you have been waiting for. 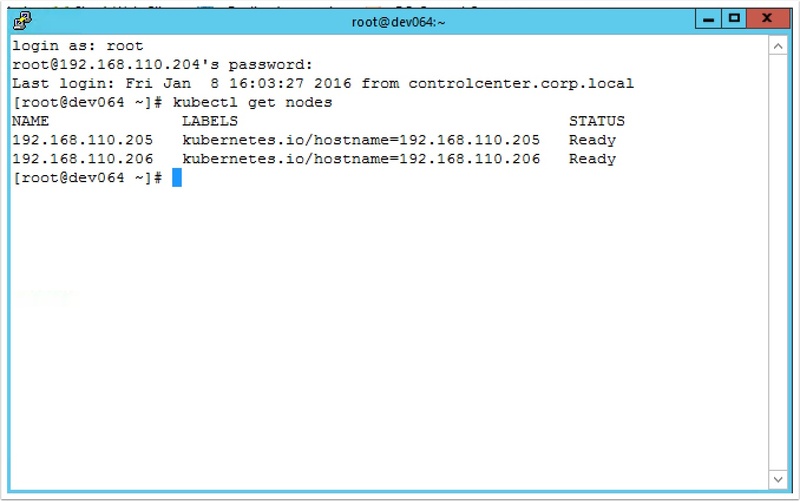 The easy button to deliver Kubernetes on vSphere is here. 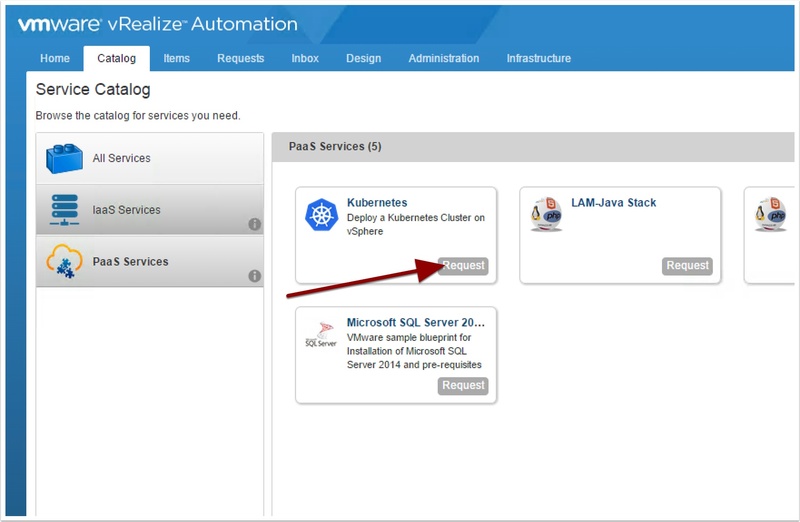 With all the policy, standards and governance you have come to expect from vRealize Automation. A reservation with a static IP pool. A CentOS 7 or RHEL 7 blueprint with vRA Agent installed and tested. See my guide here. The Kuberenetes Blueprint code downloaded from here. 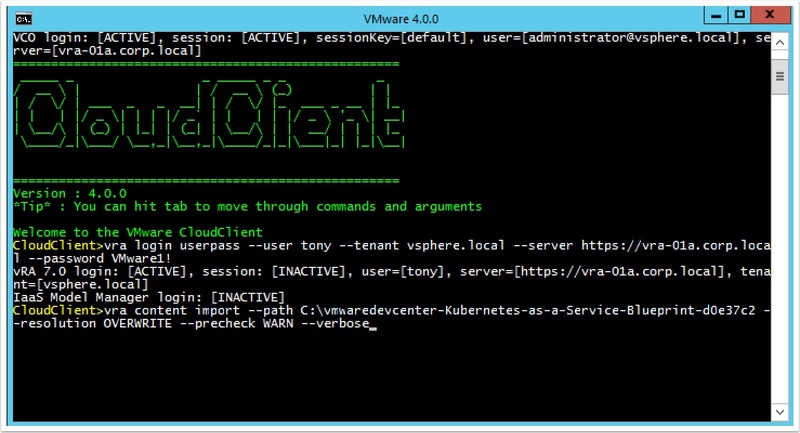 vRealize Cloud Client 4 downloaded and installed from here. First, let’s upload the blueprint using cloud client. 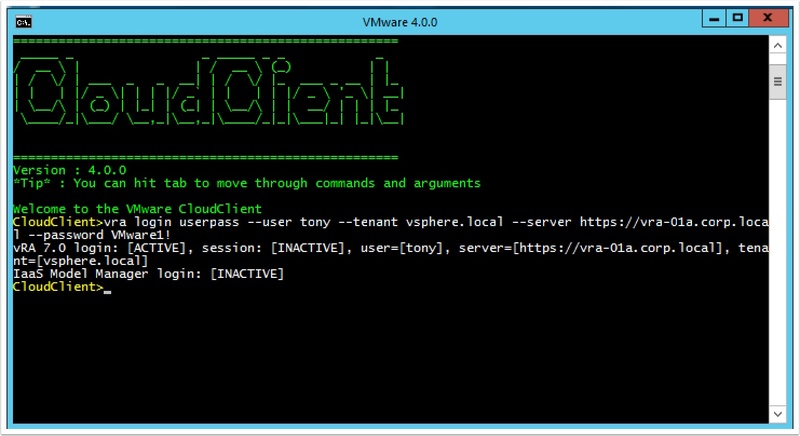 vra login userpass --user tony --tenant vsphere.local --server https://vra-01a.corp.local --password VMware1! Now import the blueprint you downloaded, make sure you specify the correct path and file name. You will need to update the Master and Minion to point to your template, snapshot (if using Linked Clones) and your customization Spec. Now go to the Administration tab, Catalog Management, Catalog Items and change the icon and entitle it to a service. Note, you will find the Kubernetes Icon in the icon pack. Notice if you click on the minion you have a choice of how many you want deployed in the cluster. When deployment is complete go to the items tab and open the Master VM and view it’s network IP. Your ready to Kube! Enjoy! 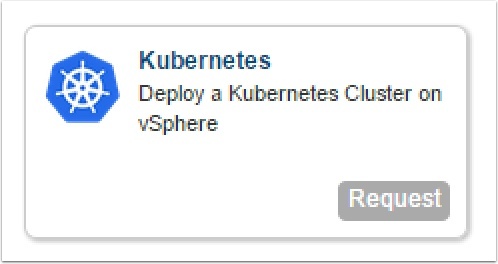 This entry was posted in Cloud Automation, Docker, Kubernetes and tagged 7, a, as, automation, Blueprint, code, kubernetes, service, vrealize by Ryan Kelly. Bookmark the permalink. Hi Ryan, we are using VRA 7.2 & 3 advanced in our datacentres. I am looking trough this article and i cant seem to se at what point you would need the enterprise VRA from the screen shots you have put up. we are very keen to do this sort of thing but we are just in the experimenting stage at the moment. 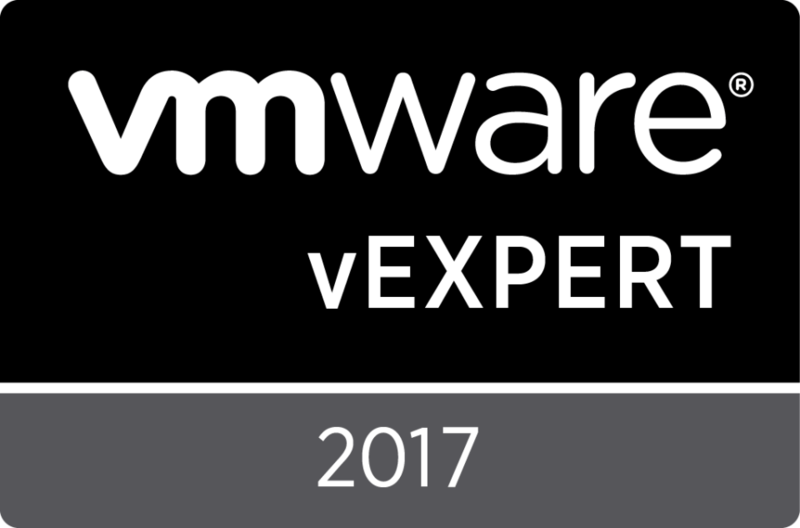 I´ll have the same question: Why do we need the Enterprise Edition of vRA? At which step is Enterprise needed? In this blueprint I am using Software Components, they are only available in the the Enterprise Version. Kubernetes blueprint is an XAAS (software authoring) feature, which falls under enterprise. kminion-002 systemd: Dependency failed for Kubernetes Kubelet Server. A dependency job for docker.service failed. See ‘journalctl -xe’ for details. Job for flanneld.service failed because a timeout was exceeded. See “systemctl status flanneld.service” and “journalctl -xe” for details. The errors are still there, but I found that the minions didn’t get the master IP. I can’t recall what I did to solve it, but look for the network configuration. Nice blueprint ! One minor update is needed to the article though… After importing the blueprint, updating the VM Template and snapshot name, adding my network, one additional check was needed: it seems the Minion Kube-Minion-RHEL7_1 software component property “master_ip” was not set. My first deployment was successful, but there were nodes registered because they didn’t know their master_ip. After ticking the “Binding” box and adding the value _resource~Master~ip_address and saving, my next deployment successfully showed the nodes registered to the master.